Chronic or acute back pain problems may make your life miserable. This type of pain is either caused by muscle pulling or issues with bone, ligaments and tendons. Improper posture, lack of activity and obesity are some of the factors that affect your back muscles. Aromatherapy with essential oils can release back pain in a natural way. Many people take pain medications that are available over the counter to get relief from back pain, some people go for prescription medicines, which have negative side effects most of the times. This affects the overall health of your body. Not all types of back pains can be relieved with the help of aromatherapy and it is always good to get advice from your doctor to discuss various treatment options, especially in case of chronic back pain. 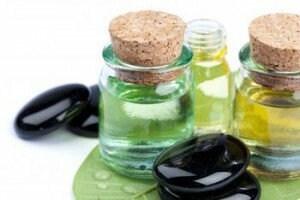 In aromatherapy, essential oils that are extracted from various plants are used. These oils include medicinal properties, which is good for both mental and physical health and it also promotes quick healing from almost anything. Massage with essential oils is the best type of aromatherapy for back pain. Just combine a couple drops of oil of your selection with regular oil and arrange for a professional aromatherapist or masseur to give massage to your back. This helps in increasing blood circulation and relieves tightness and pain from your back. Massage therapy also aids in relieving tension and increases the blood circulation to that area, while the aroma from essential oils works through the aroma system. Chamomile oil: This oil helps in controlling spasms in muscles and includes anti-inflammatory and pain-relieving characteristics. Lavender oil: This oil avoids inflammation and spasms in muscle. It also helps in relieving stress, which may worsen your back pain. Clary Sage: It is very comforting oil. It includes calming effect when a person is anxious and muscles are tensed because of pain. It has anti-inflammatory and anti-spasmodic properties. Sage is not recommended in case if you are pregnant. Rosemary: It includes antispasmodic and analgesic properties. It is good for releasing back pain as it enhances circulation of blood. Ginger oil: This oil can soothe back pain and provide more flexibility. Mix 4 drops of wintergreen, 4 drops of cardamom, 4 drops of ginger oil and 1 tbsp of sweet oil to make a calming massage oil.